Are you feeling nostalgic about the summer? Me too! 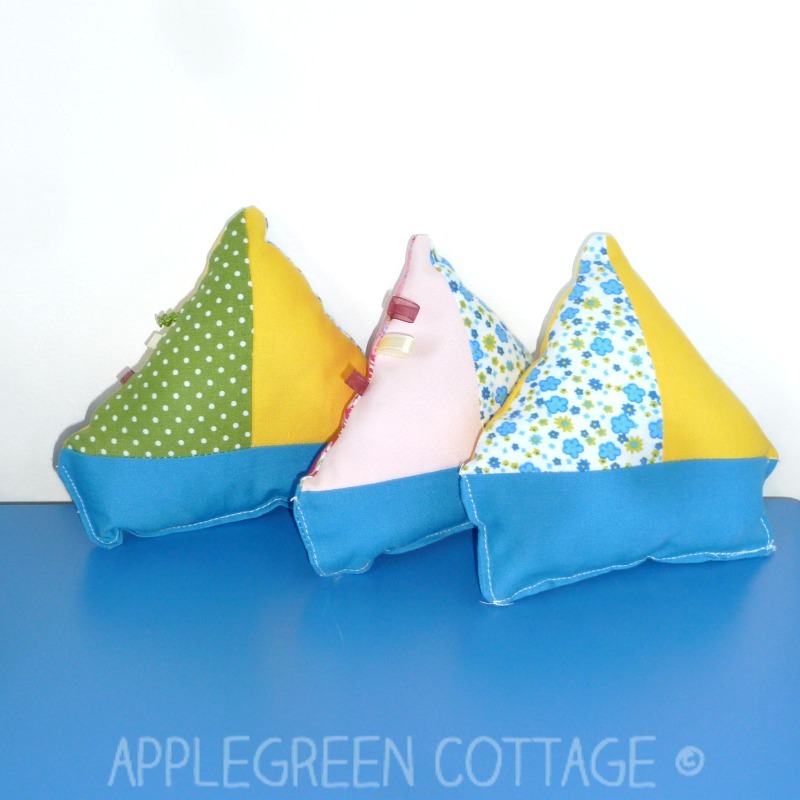 That's why I tried to make the summer last longer by sewing a few adorable fabric sailboat toys. A wonderfully soft baby toy and a soothing farewell to an awesome summer. 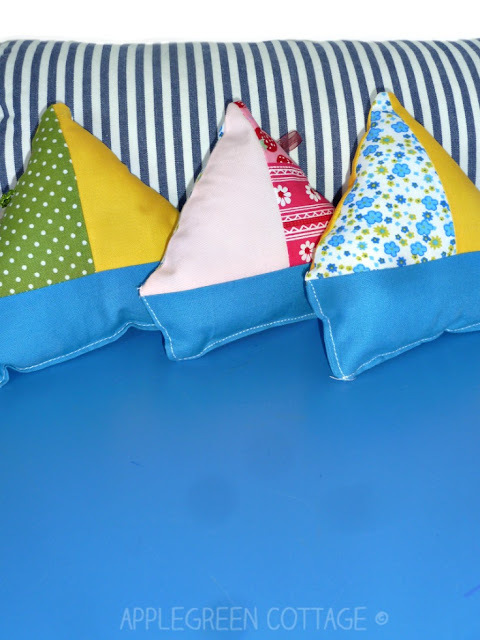 These homemade sailboat softies are a great (and quick) beginner sewing project and so much fun to sew! And UPDATE: there's a free printable PDF template for you to download and sew tons of these adorable softies. Totally free! This easy sewing DIY might keep your summer memories alive a tad longer. 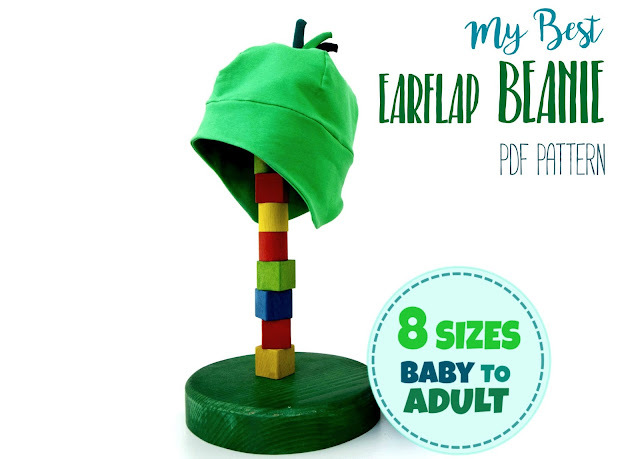 And it makes a perfect homemade gift for a baby. Are you ready to make one too? 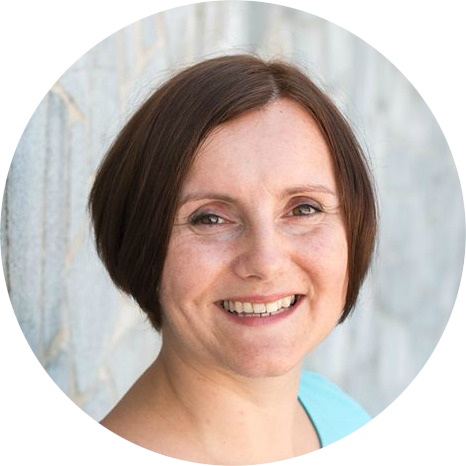 Head over to Irina's tutorial at Sew in The City. She's made a step-by-step tutorial with lots of photos, perfect for those who'd like to make a quick baby welcoming gift. 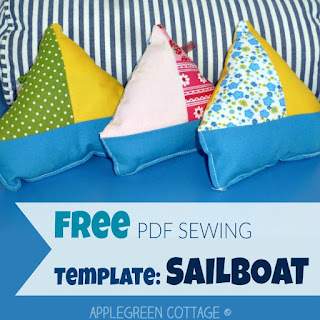 I'm sure you'll love it, these fabric boats are an adorable beginner sewing project. To those of you who are no beginners at all - and I'm sure you won't need to follow a tutorial to figure out how to make this ship - have a look around. 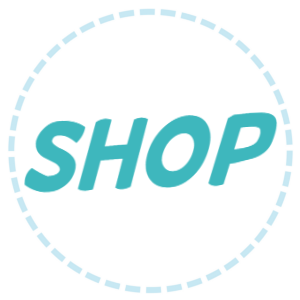 You might find a lot of other great sewing stuff on Irina's site, too! This softie toy is easy to make and fun to play with. Isn't that a wonderful combination? Now, think: how many kids are there in your life? It's that many fabric soft boats to sew! 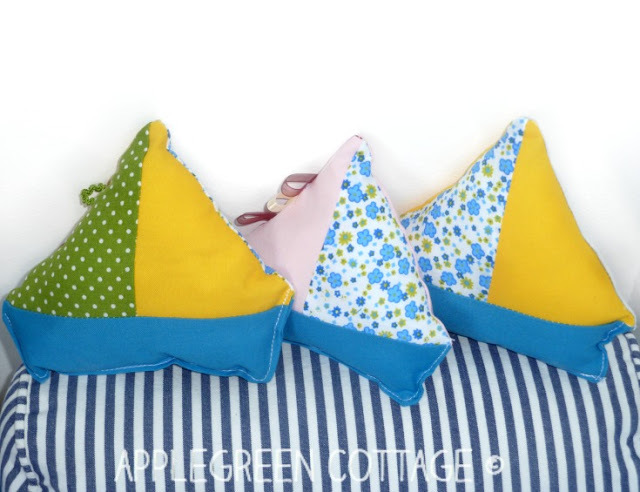 They are quick and easy to make, and I hope you'll have lots of fun sewing them! You can make them in any size, too. I think I could make an awesome fabric boat pillow next time. A hint to make it faster: when cutting pieces for your DIY fabric boat, cut several additional sets, set them aside and store somewhere safe (away from scraps so you don't accidentally throw them away!). Next time when you need a great last-minute gift for a toddler or a baby, it will only take you several minutes to sew an additional sailboat soft toy and make a certain kid totally happy. A win-win! Do you want this boat template as a free printable PDF? And just to be clear: in this pdf pattern, I am linkig it to the original author (Sew in the City). It's her idea and her boat. And her tutorial. Why am doing this? To make it easier (and quicker!) for you to make your own cute boat toys. And to bring additional views to a great sewing tutorial that deserves more eyes and praise. Cheers to that! What a cute boat. I would very much like to have the pdf pattern. Thank you. What an adorable craft! It does not even look that hard, I might have to try to tackle it! Since buying a condo on the gulf my grandson is obsessed with boats. I am so going to try and make one of these for him. Thanks!! This is so cute!! Thanks for sharing the idea, I would love to make this for my son. These are super cute and adorable. What fun a boy mom would have with these, or even a little girl who loves ships! Oh, these are so adorable! Perfect for the beach house, or as gifts for someone. Thanks for sharing! Oh these look so cute. These would look great on a couch too and can be made to match literally any decor. I love DIY! It's really fun and it's affordable too. This is pretty adorable and it would be a nice addition to our sofa! I think the kids will love it as well. Irina's tutorial at Sew in The City sounds like a great place to go for DIY projects. I love doing crafts and think it is a great hobby especially for at home moms. This I will have to share with my niece and sisters. Thanks for sharing the information. Those are really cute and such a creative craft. I do not sew but maybe I can get my mom to make some for my niece and nephew. Your fabric boat toy is adorable and would be great for my godson. I will have to ask my sister if she can sew one for me since I'm not very good at sewing. These are so adorable and I bet they would make great gifts, especially for nautical themes or beach houses! 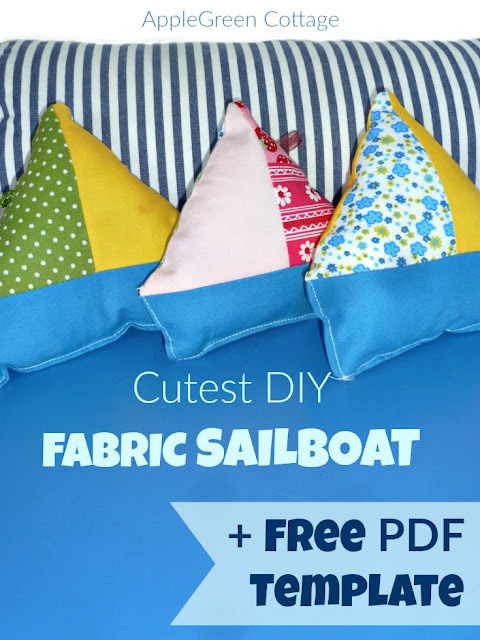 Those fabric sailboats are just too cute. I'd love to make some as cushions although I'm afraid my doggie would take off with them. This is the cutest little sailboat. I would love to make this for the babies in my family! This is so adorable. My first grand baby will arrive next month and the theme for his room is nautical and sail boats. Going to give this a try. I would love to have the pattern for the cute sailboat. I have several little sailors that would love one! Cutest DIY Fabric Sailboat Toy - Would love to make and give them to local children's hospital and Navy Families in the States. please stay tuned, I'm making the pdf and it will be published shortly; it's one of my priorities now for the blog since so many people dropped by saying they'd love a pdf printable template. Thanks for reaching out! A stuffed sailboat! How cute! My daughters will love these! 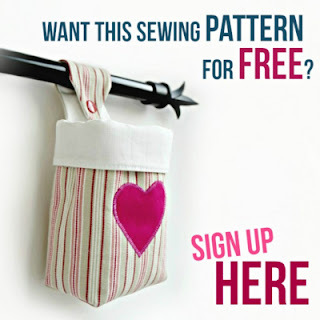 Use it, share it, make tons of softies out of it - and happy sewing!